A handy little resource. Reclaim your gas mileage! 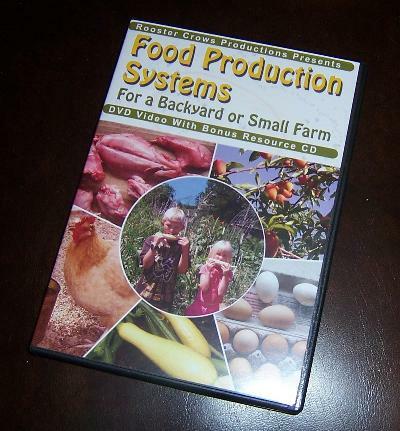 As a special to all the Texas preppers out there, Riverwalker and his neighbors, Backyard Food Production, are giving away a free copy of their DVD on backyard food production. This DVD also includes a resource CD with lots of additional information for those persons seeking a more self-reliant lifestyle. In order to win this Free DVD on backyard food production, simply enter the comment on this post: " I want to be a self-reliant prepper!" A winner will then be chosen at random from the comments left on this post. Only one comment per day please! The winner will be announced on February 2nd, 2011 (Groundhog Day!). Please leave a name identifier if posting anonymously. The winner will also need to furnish a shipping address to receive their free DVD. Thanks to my neighbors just up the road a piece for this special giveaway! Most new style refrigerators have what is known as a crisper drawer. This is designed to help keep your fruits and vegetables longer before they go bad. Many older style refrigerators don’t have this feature but the same effect can be accomplished with a very simple item. Simply place one or more dry sponges in your crisper or vegetable drawer of your refrigerator and your fruit and vegetables will last a lot longer. Simply replace the sponge(s) every few days with a dry one. The sponge(s) will absorb the excess moisture helping your fruits and vegetables to last longer because of the decreased moisture content. You can even use this method if you have the newer style refrigerator with a crisper drawer to add more control over moisture content in your refrigerator. The weather models have been pointing toward a possible extreme cold weather outbreak next week across much of the country; this includes the South Central Texas area. Everything has to be just right to get a major arctic blast into our area, and the weather forecast models are showing things coming together for just such an event. This possible cold outbreak starts with a strong cold front pushing through the area sometime on Monday of next week. Arctic air over Canada will then continue to surge south into the southern plains through Tuesday and Wednesday of next week with a possibility of it lasting even longer towards the end of next week. The forecast weather pattern points toward the coldest air of the season with very hard freezes possible next week. The forecast models keep this arctic air over the plains area for the entire week, with reinforcing shots of cold air coming from western Canada, right down the lee side of the Rockies and into Texas. We could be looking at a lengthy cold outbreak with possible record low temperatures and record low maximum temperatures. Record lows across South Central Texas next week are generally predicted to be in the low to mid teens. The currently forecast weather patterns indicate some record temperatures could occur. With that said, many things can happen between now and next week. The forecast models could change, the cold air could head a bit further east, etc. While it is way to early to tell you particulars of exactly how cold or how long this arctic blast could last, you should make your preparations ahead of time and increase your situational awareness. Please start following the weather forecasts very closely and logging onto weather websites frequently (www.srh.noaa.gov/ewx) . If this is what could be a true arctic blast, history has shown us that weather forecasting models will underestimate the strength of this cold air. If you have winter emergency action plans, now is the time to get them out and start to review them in preparation of for a possible need to be actively ready for this arctic blast. This needs to be watched closely. Be aware. Be informed Be prepared. It's the beginning of a new year and here's to great new year for everyone! There are some new things lined up for the Texas Preppers Network in the new year. The first of which will be a special give-away for all the Texas Preppers out there. The details will be posted when it gets finalized.